Call center QA, or call center quality assurance, is perhaps the most important operational aspect of running a contact center. Proper quality assurance ensures that customer needs are met, the contact center is operated efficiently, and associates are meeting prescribed performance standards. Call center QA is generally achieved through a system of monitoring and/or recording customer interactions for scoring and feedback. It can also consist of data analysis and metrics that help give the organization visibility to performance over time. Call center QA is often managed with the assistance of a call monitoring software system. These programs can be highly customizable to meet the specific needs of the organization. They most often focus on recording, monitoring, and scoring customer interactions, but they can involve other data gathering and analysis tools as well. With call monitoring, management in your call center will have a clear and objective view of the level of customer service being provided. These systems can also help identify and highlight training needs. They are usually also tied in to the performance management plan for associates. A call monitoring software system can provide a dashboard for call center QA. This gives a quick summary or snapshot of how operations in the call center are doing. It can also allow for a “drill down” into more detail about specific metrics or measurements that are of interest. Reports can be issued on a regular basis to provide insights into associate performance, key metrics, customer satisfaction levels, and other measurements. Implementing call monitoring has been shown to boost associate performance and improve customer service levels in contact centers. Some call monitoring systems can also be designed, modified, and tweaked to meet the very specific requirements of individual contact centers. A well designed and well managed call monitoring software system is a key element in ensuring call center quality assurance. Is your organization ready to realize the boost in call center quality assurance metrics that can come from implementing call monitoring? To learn more about the improvements and efficiencies your contact center could experience from this powerful software tool, consider contacting the experienced team at Evaluate Quality today. 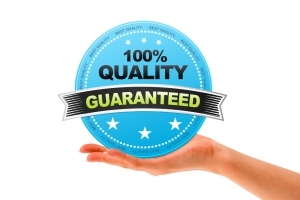 Evaluate Quality specializes in the implementation of call center quality assurance software solutions tailored specifically for the unique needs of their clients. The expert team at Evaluate Quality has helped businesses throughout the US improve their call center operations, and they can do the same for your organization. Take your contact center operations to the next level. Contact Evaluate Quality for your no obligation demonstration of their software solutions today.